True Wild Life | Bandicoot | The bandicoot is a small-sized marsupial found across Australia. 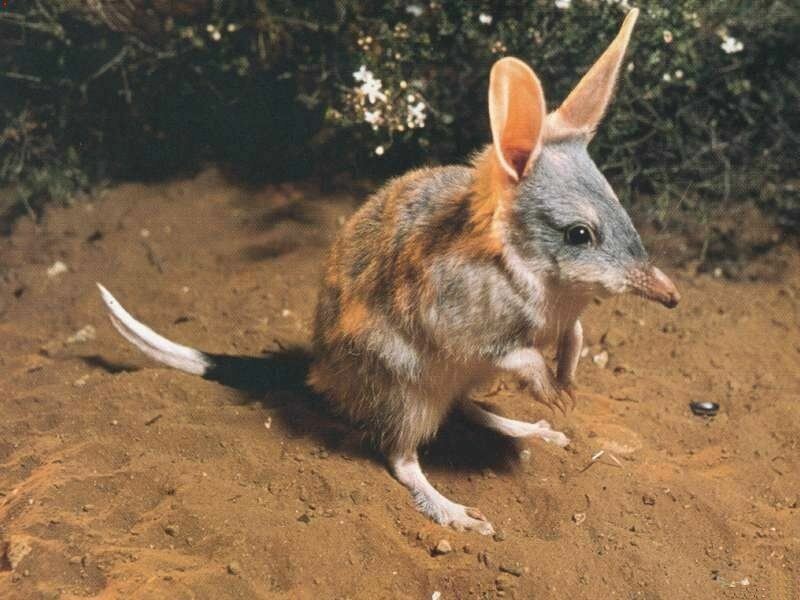 There are eleven known species of bandicoot found in the Australian wilderness, and despite it's rat-like appearance, the bandicoot is thought to be more closely related to a rabbit. The bandicoot is natively found on the Australian mainland and it\'s surrounding islands. Due to their small size, bandicoots can be an easy target for hungry predators and are therefore found in more overgrown habitats including forests, swamps and thickets where there are plenty of places to hide. Bandicoots are very similar in appearance to the rat as they have long, pointed heads and snouts and a short and compact body with a long, thin tail. Despite this though, bandicoots are about the size of a rabbit and use their powerful hind legs to hop around in the same way. The average sized bandicoot is about 50cm including it's tail although male bandicoots are often double the size of the females. 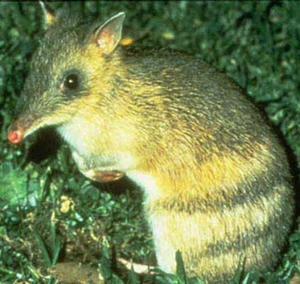 The bandicoot is a nocturnal animal meaning that it spends the daytime hours sheltering in bushland and along creek beds, coming out under the cover of night in order to hunt for food. Bandicoots are also very solitary animals, generally only coming together to mate. The bandicoot is an omnivorous animal meaning that it's diet is made up of both plant and animal matter. 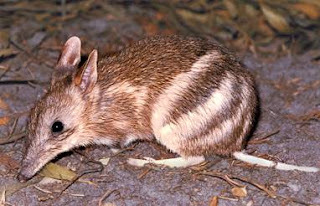 The bandicoot primarily hunts for and feeds on insects which it finds scuttling around in the leaves or just below the surface of the ground. 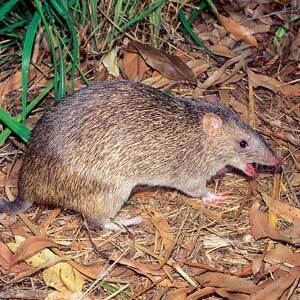 Bandicoots also nibble on fruits, berries, nuts, seeds, eggs and even small rodents when they are in search of food. Due to it's relatively small size, the bandicoot has a number of natural predators in it's environment including large birds, foxes, snakes and wildcats. Dingoes and pythons are the most common predators of the bandicoot across Australia. The bandicoot is a marsupial meaning that the female bandicoot has a nursing pouch on her belly in which to nurse her developing young. Bandicoots have one of the shortest gestation periods of all mammals, with the young being born just 12 days after conception. Female bandicoots usually give birth to a litter of 3 - 6 young who continue to develop in their mother's pouch until they are strong enough to venture into the outside world. Sadly today, seven out of the eleven known bandicoot species are considered to be either critically endangered or extinct. The decline in bandicoot numbers has been a direct result of both habitat loss and the introduction of small carnivores such as cats, with the European settlers.